Higher education is supposed to prepare students for a successful career, right? So why are students leaving feeling hobbled by debt? And what are they getting in return for forking over so much cash? 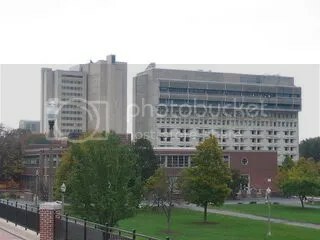 The UMass Daily Collegian reports that the average debt load for a UMass-Amherst grad is $21,614. But wait, there’s more! The same article notes that the average student loan debt is $20,200. And that takes private school debt into account. UMass-Amherst is a state school, so why on earth would the debt be that high? Students, grad or otherwise, turn to state schools precisely so they can avoid the debt associated with private schools. They might even get a better education as part of the deal. Something’s wrong when a state school’s student loan debt approaches a private school’s student loan debt. In the past, it was considered a smart financial move to go to a state school so you wouldn’t graduate with as much debt. Now it makes me wonder if it isn’t better for students to attend a community college and transfer in, just as many students in the University of California system do. It’s a shame that students would miss out on a chunk of the “college experience,” but at least they wouldn’t start their careers deep in the hole. As for the grad students, it seems that the cost of a grad education isn’t based on the distinction between public and private schools but on just how much aid the school offers, period.